In keeping with the OnePlus trend of releasing a “T”-variant of its smartphones, the OnePlus 6 too is now followed by the OnePlus 6T. The T-variant ships with a bigger screen and a more efficient battery along with a few other changes. The OnePlus 6T sports an under-display fingerprint sensor which solves the problem of having thin bezels while still keeping the sensor at the front of the device. You also get the added benefit of facial recognition. 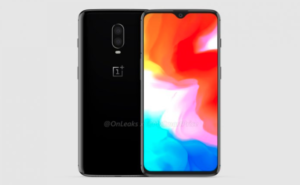 While there is still a notch on the OnePlus 6T, it has been redesigned to mimic a waterdrop aesthetic and is much smaller this time around. The screen on the OnePlus 6T is a tad bigger than what we saw on its predecessor. The 6.4-inch Optic AMOLED Full HD+ display boasts a screen-to-body ratio of 86%. Also, the screen features a coating of Corning’s Gorilla Glass 6 protection. The OnePlus 6T comes with a 24-megapixel front-facing camera which is loaded with features like HDR, Screen Flash, Smile Capture, and Face Beauty. You can also capture Portrait shots. At the back, the provided dual 16+20-megapixel shooters boast excellent video capture thanks to a combination of OIS and EIS. One can also shoot 4K resolution videos at 30/60 fps. While these sensors are pretty much the same as the one found on the OnePlus 6, the addition of software tweak such as “nightscape” should offer improved low-light photography. Moving on to the aspect of power, the OnePlus 6T is fuelled by a non-removable Li-Ion 3,700mAh battery which can easily last for an entire day even with heavy usage. This deal is that much sweeter thanks to the provided fast-charging (5V 4A) support. The OnePlus 6T is armed with an octa-core Snapdragon 845 chipset which is coupled with 6GB of RAM. This setup promises a smooth and seamless experience whether you’re multitasking, playing games for extended periods, or both. On the software front, the smartphone runs the company’s proprietary Oxygen OS wrapped under Android 9.0 Pie. OnePlus 6T price in India is Rs. 37999. OnePlus 6T sale starts from 1st November, 2018 via Amazon. The 128GB variant costs around Rs. 37999. The OnePlus 6T comes in multiple colour options like White, Black and Red which are also priced the same.